Hudson Valley native Leo Harmonay works by day as the manager of a high rise apartment complex in New York City and devotes many of his off-hours to pursuing a musical career that, in a fairer world, would provide him with the income to do that alone. Perhaps that day will one day come. It’s certainly little closer with an EP release the caliber of LHarmonic, a six song collection with a bonus live song appended onto the recording for good measure. Despite the inclusion of a bonus track, there’s never any feeling of this being a misshapen release or out of balance in any way. Instead, LHarmonic wins listeners over from the first and will likely be just as effective with his longtime fans as it is with those coming to his music for the first time. It’s well produced and the attention paid to framing these songs in the best possible light is obvious. LHarmonic begins with the song Shine on You and it proves to be one of the most important numbers on the EP. Its easy going nature belies its critical place in the EP’s architecture and it’s led by a reassuring, calming vocal performance that locks in with the arrangement and moves as one towards an inevitable end. The vocal melody is especially good. Deep Ocean Blue features many of the same strengths, artfully refined, and the electric guitar sound on the track brings an added layer that listeners will appreciate. One has to admire the obvious consideration that’s been put into the writing and track listing of LHarmonic and that thoughtfulness is reflected once again in the next song Heart Alone. It’s the EP’s most lyrically fraught number yet and married to a deceptively simple arrangement with a strong bluesy influence. Glorious Decline returns the studio part of the EP to a more traditional folky, singer/songwriter sound, but it has a melancholy surrounding the playing, chord changes, and vocal presentation that makes it especially memorable. His penchant for tasteful surprise comes across well with the track Rainbow Sounds and the colorful implications of the title are felt in the synthesizer swell that deepens the song’s substance. It’s hard not to like the way he closes LHarmonic with a reprise of Shine On You that elaborates nicely on the earlier version without ever attempting to overshadow it. Its similarities dovetail in a very artful way as well. The live performance of Deep Ocean Blue that brings a final curtain down on the release is every bit the equal of the earlier version, albeit with a slightly different presentation lacking the strong presence of electric guitar we hear in the studio cut. No matter. It’s just another side of a wonderfully complete artist and ends one of 2018’s best singer/songwriter releases on a really strong note. Leo Harmonay’s LHarmonic can stand among the best of them and there’s no question even brighter days are ahead for this performer and writer. 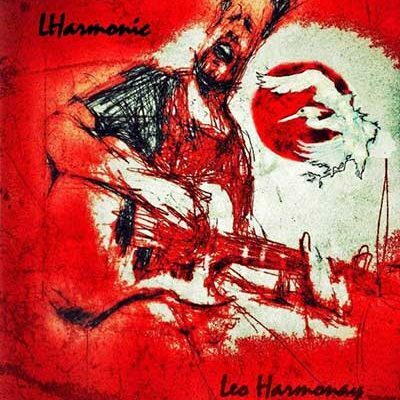 If you enjoyed a preview of LHarmonic, check out Leo’s official website by clicking here. Give him a like on Facebook by clicking here & a follow on Twitter by clicking here.